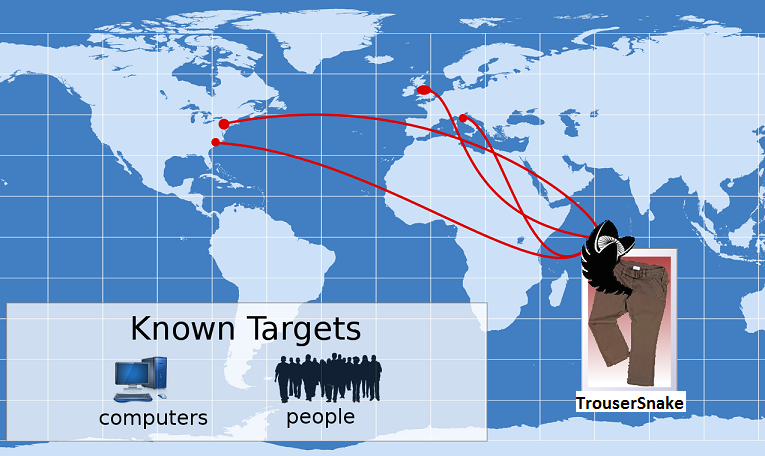 iHype discovers zero-day CVE-2014-8==D, or "TrouserSnake"
gullibility of corporate employees, leaving many exposed. with a coordinated release taking place at 09:00AM EDT. TouserSnake is expected to be felt by a number of organizations. tracking, we've been able to pinpoint several places that TrouserSnake has reared its nasty head." known for selflessly recommending solutions and best-practice behaviors for high-profile clients. "Users need to be wary, and consider all the unexpected places where this could pop up." in what will surely be a long, drawn-out security nightmare.